Another summer is ending on 196 flavors, and we once again this year jumped at the opportunity to feature a theme that all of us just love: barbecue. 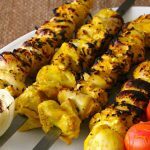 Last year, we featured two kinds of kebabs that were very different from the one I invite you to discover today. The first one was lamb shashlik from Turkmenistan, and the second one was chicken satay from Brunei. We also went to Argentina for the perfect grilled meat condiment: chimichurri sauce. And I even tested new techniques with his khorkhog, the real Mongolian barbecue, that I cooked with… stones! 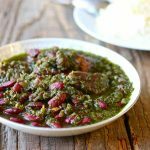 Persian or Iranian cuisine is one of the oldest in the world. 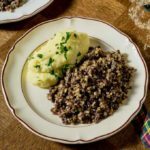 Contrary to popular belief, it is not that close to the cuisine of the Middle East. Poorly represented at the international level, it is mainly found in London and Los Angeles, two cities where the Iranian diaspora is very important. I live in Los Angeles and I actually discovered Persian cuisine when I moved here in 1999. 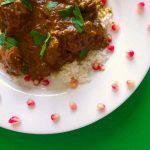 I actually featured the first Iranian recipe on 196 flavors with khoresh-e fesenjan, a pomegranate and walnut stew accompanied by a polo rice. 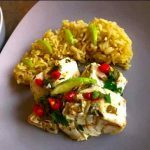 And since we are talking about rice, I am sharing with you the recipe of this Persian rice, or at least the recipe for chelo rice. 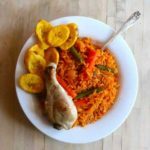 Chelo rice is a simple rice without additional ingredients like herbs, barberries, or beans, which are added to rice in the many variations of polo rice. 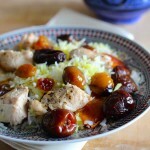 You will know all about the very unique preparation technique of this Persian rice. A characteristic of this method of cooking makes the joy of Iranian children as they compete for every bit of the crunchy and semi-burnt rice at the bottom of the pot called tah-digh, which actually translates to bottom of the pot. Tah-dig is the golden crispy rice crust that lines the bottom of the cooking pot. The main recipe that I am sharing today to accompany our rice is called chelo kabab (chelow kabob or chelo kebab), literally white rice with kebab. The particular variant of meat kabob that I prepared is called koobideh (kubideh), a ground beef kebab. Today, rice is served throughout Iran. 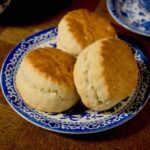 However, rice was historically more prevalent in the north, whereas all the other regions traditionally accompanied their dishes with different kinds of bread. 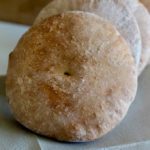 Cuneiform scripts from the Mesopotamian era also make reference to no less than thirty varieties of breads, twenty cheeses and a hundred soups tending to prove the rich culinary heritage of this region since the earliest times. 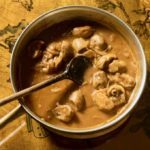 Iran, which is located in the heart of the Silk Road, has benefited from ongoing food trades with India, China and Mongolia. Basmati rice from India, which is very close to Iranian rice varieties has thus spread throughout Iran. 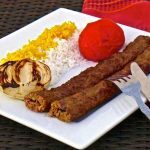 This chelo kabab recipe is a foolproof recipe that will impress all your Persian (and non Persian) friends! 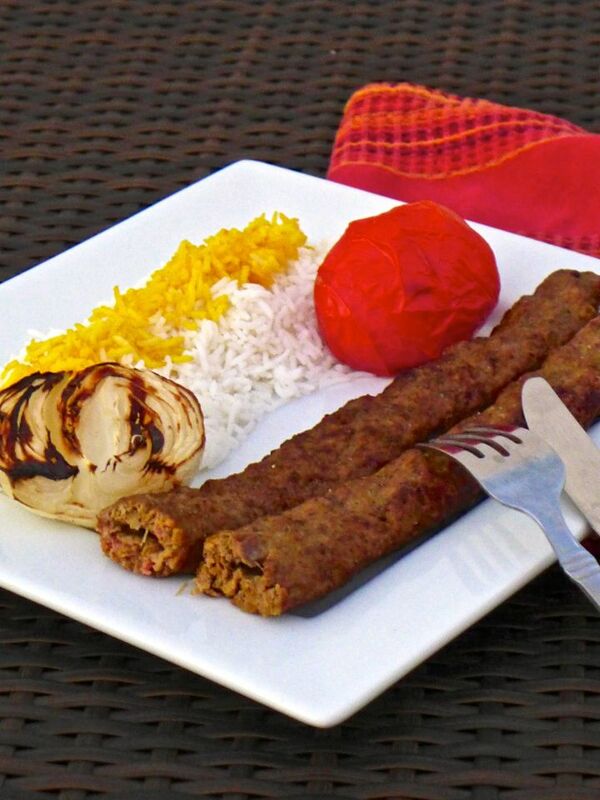 Chelo kabab literally means "white rice with kebab". 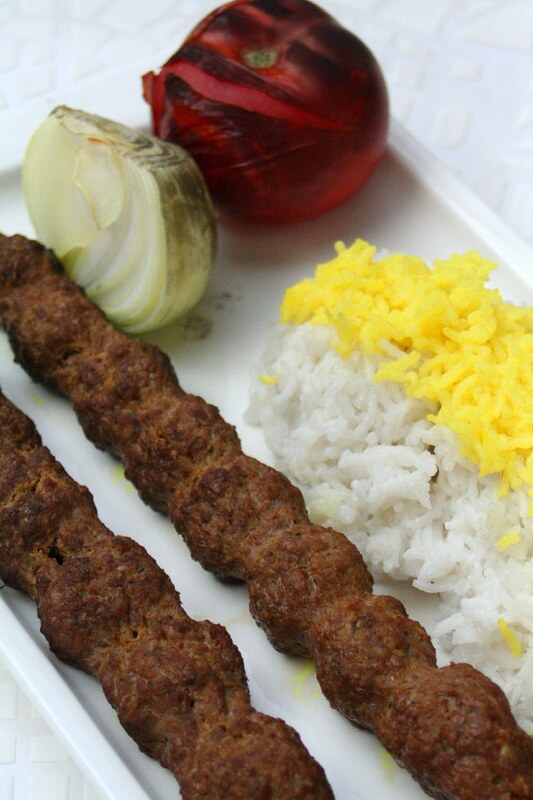 This ground beef version of kebab with onions and saffron is called koobideh. Dilute saffron in ½ cup of boiling water, cover and infuse for 10 minutes. Mix the ground meat with the grated onion, then add the spices, salt and pepper. Stir for 2 minutes after each ingredient is added. Finish with 3 tablespoons of infused saffron water and mix well again. Place in a covered container in the fridge for at least 12 hours. 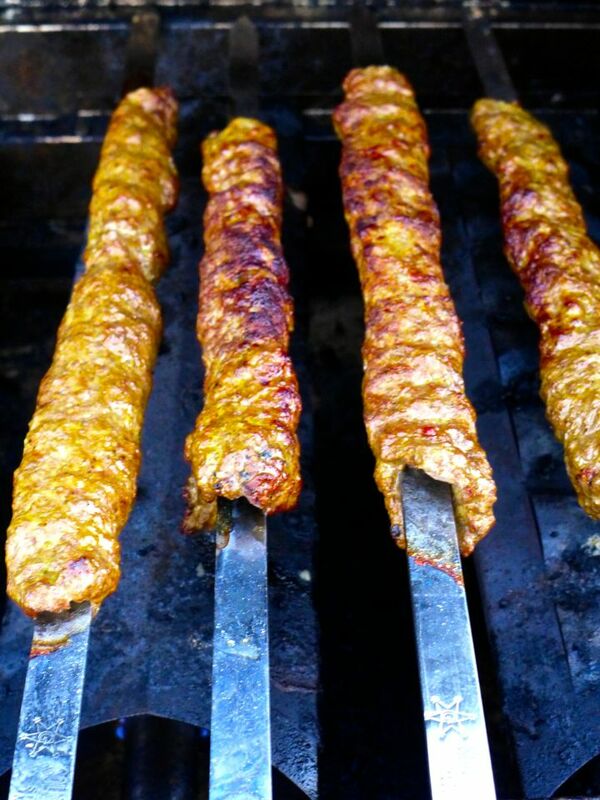 Make 8 koobideh kebabs by pressing the meat well to barbecue skewers. Pinch the meat with your fingers regularly throughout the skewer every inch to give its characteristic shape. Grill the skewers on a BBQ by placing them over the coals. Turn them regularly to ensure a perfectly even grilling for approximately 15 minutes. Place the tomatoes and onions on the BBQ and turn regularly. They are served as an accompaniment to the skewers. Soak the rice in plenty of cold water for 2 hours. Cook the rice for 7 minutes in large amount of salted boiling water. Drain the rice, but do not wash the pot. Keep over high heat and add 2 tablespoons oil and 2 tablespoons tablespoons water, stir and scrape the bottom of the pan with a wooden spatula. Pour the precooked and drained rice to form a pyramid. Poke 3 to 4 holes in the rice with the handle of your wooden spatula. Pour 2 tablespoons of oil in an evenly distributed fashion. Put a dish towel over pot, then cover with pot lid and bring dish towel ends over pot lid. This technique ensures a better seal, and is key to success of this type of rice steaming. Never open the lid throughout cooking. Cook over high heat about 5 to 10 minutes, until a little steam escapes from the sides of the lid. Then lower heat and cook for 40 minutes. Place the rice in a serving dish and remove the crispy rice crust that formed at the bottom of the pot. Dissolve the saffron in 2 tablespoons of boiling water, take a part of the cooked rice and pour the saffron on top. Serve the kebabs accompanied with the grilled tomatoes and onions and the rice topped with a few tablespoons of saffron rice. I am 100% with you Sanam. I actually made tahdig for my fesenjoon post but I didn’t include it in the article. Correct me if Im wrong but you could make tahdig by following this recipe for polo but by leaving the rice a little more on high heat at the beginning, no? 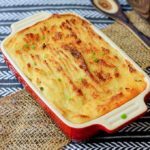 , dry-roasted and crumbled to a powder, and dissolved in 3 tablespoons warm water (optional) so as to make the consistency more thick.Anyways your recipe ame out well. I have also tried your GREEN PAPAYA AND COCONUT JAM…My son ryan loves it very much..
Love seeing that you are as adventurous as we are with the green papaya and coconut jam! 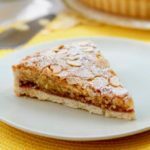 Please continue to share your tips and any other recipe you have tried. We love to hear from you! Hey Yasmeen, of course you can, even though you will not get the exact same result. In order of preference, I would go with (1) a cast iron griddle on the stove, (2) in the oven but with elevated skewers so that they do not cook in their own juice, otherwise they will be more boiled than grilled, and then, as a last resort, (3) a standard pan on a stove or in a baking dish in the oven. Good luck!